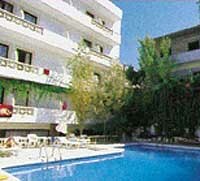 The Venus Melena hotel is elegant & stylish, combining old Grecian style with modern comforts. General facilities include a restaurant, bar, swimming pool, poolside bar, TV lounge, health club, gym, billiards and table tennis. All rooms at the Venus Melena have telephone and music.